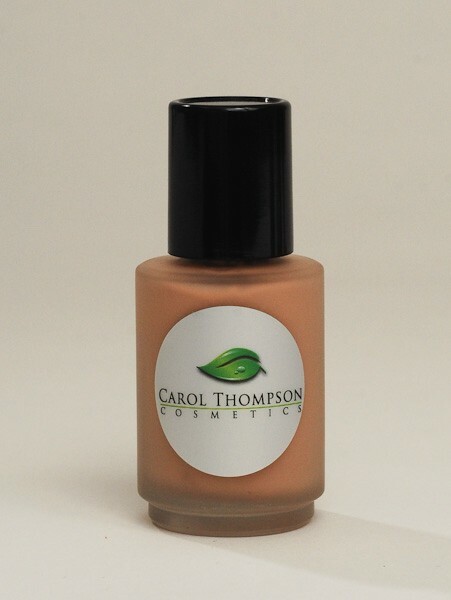 Foundation Pale Beige Matte Foundation - Carol Thompson Images, Inc.
What It Is Oil-free liquid imparts a flawless, soft-matte finish. Non-drying; continually conditions the complexion. Hypoallergenic. What's Inside Vitamins A & E, Panthenol and Lecithin condition skin and provide antioxidant protection. How To Use Apply directly onto moisturized skin or over a face primer. Using a foundation brush, sweep onto skin starting at the center of the face and blending outward and down to the neck. Water (Aqua), Propylene Glycol, Propylene Glycol Stearate, Glycerin, PEG-8, Oleic Acid, Kaolin, Lecithin, Isostearamide DEA, Cetyl Esters, Cetyl Alcohol, Tocopherol, Panthenol, Triethanolamine, Magnesium Aluminum Silicate, Cellulose Gum, Simethi- cone, Disodium EDTA, Methylparaben, Propylparaben, Butylparaben, Imidazoli- dinyl Urea. May Contain (+/-): Iron Oxides (CI 77491, CI 77492, CI 77499), Titanium Dioxide (CI 77891), Ultramarines (CI 77007), Chromium Oxide Greens (CI 77288).